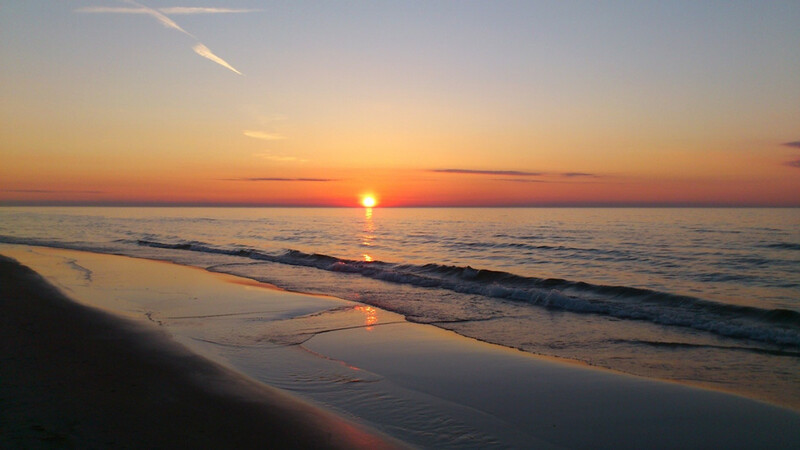 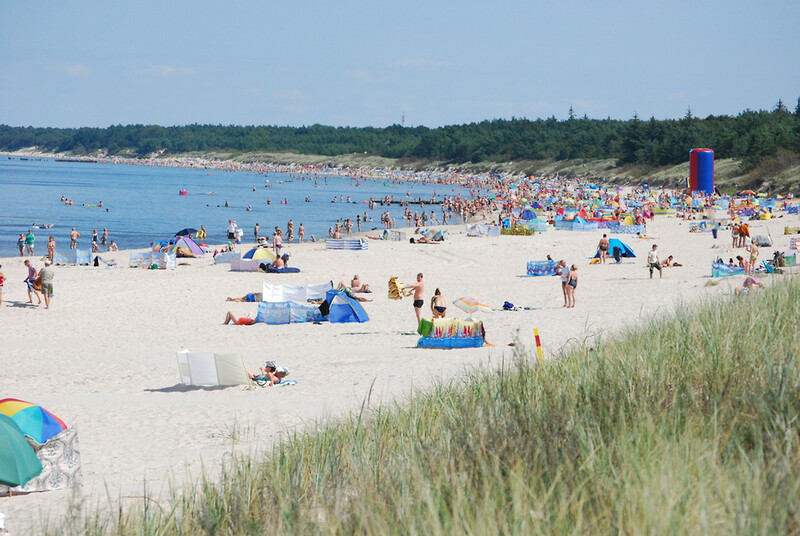 We invite you to the beautiful Baltic beach, near the Polish-German border. 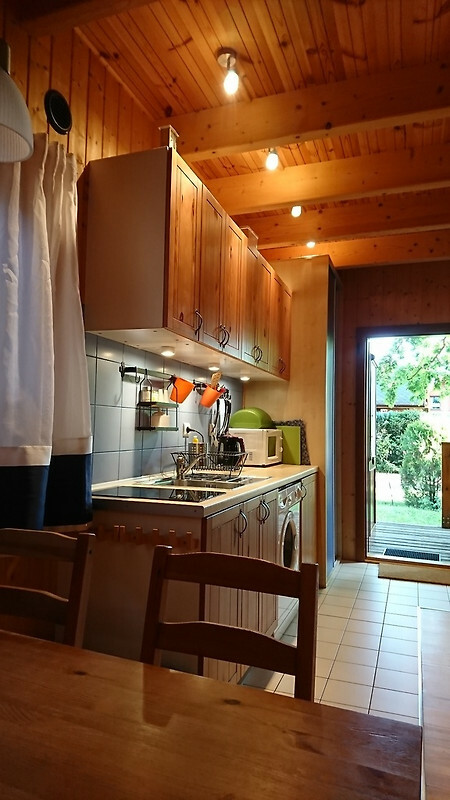 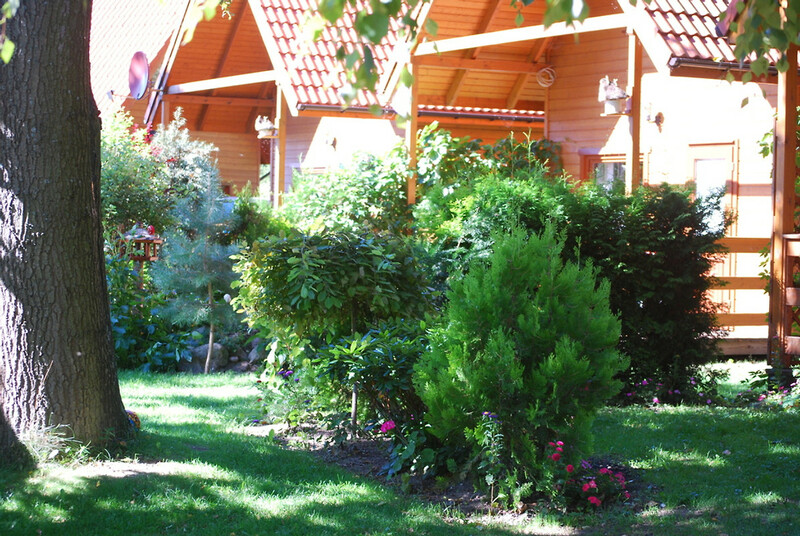 Pine forests, beautiful bike tours, the charm of the cosy town and above all the unique sunsets by the sea are the advantages of this place for ideal family recreation. 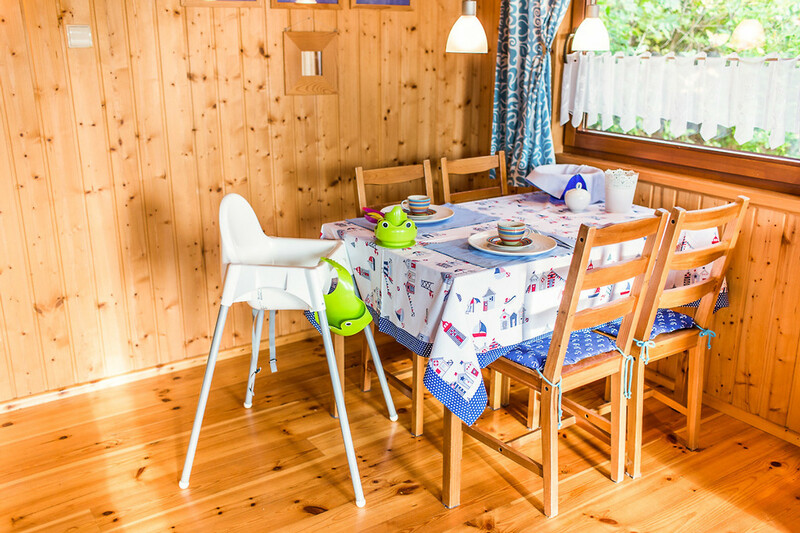 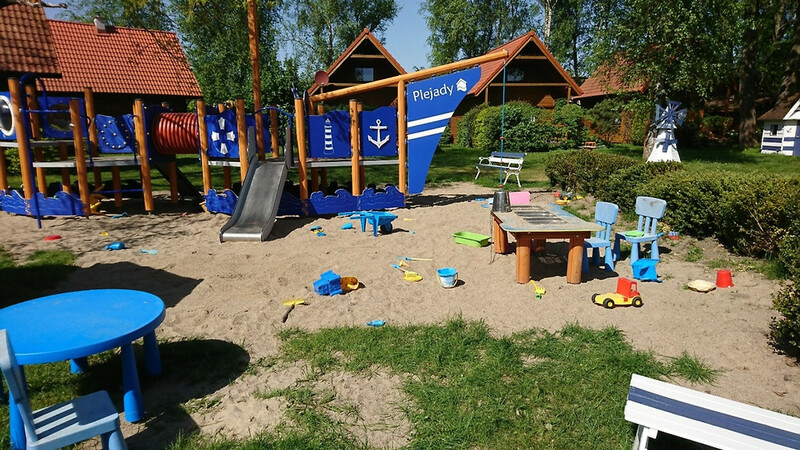 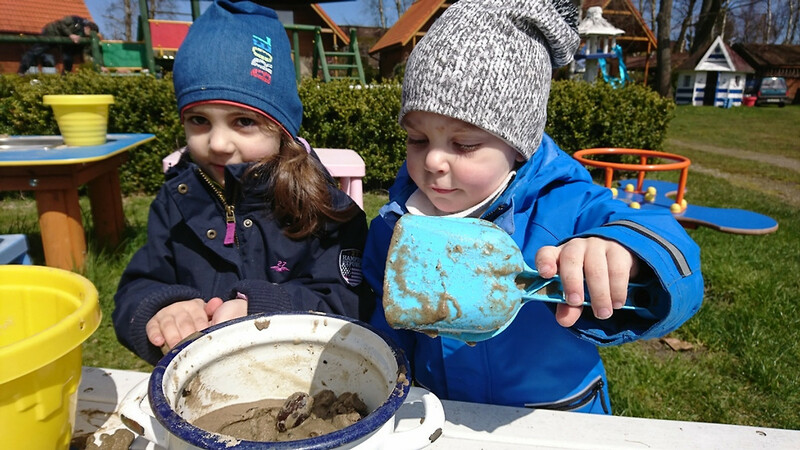 Our houses are located 10 minutes from the wide beach, in the quiet recreation part of Dźwirzyn PLEJADY are a wonderful place for holidays with children. 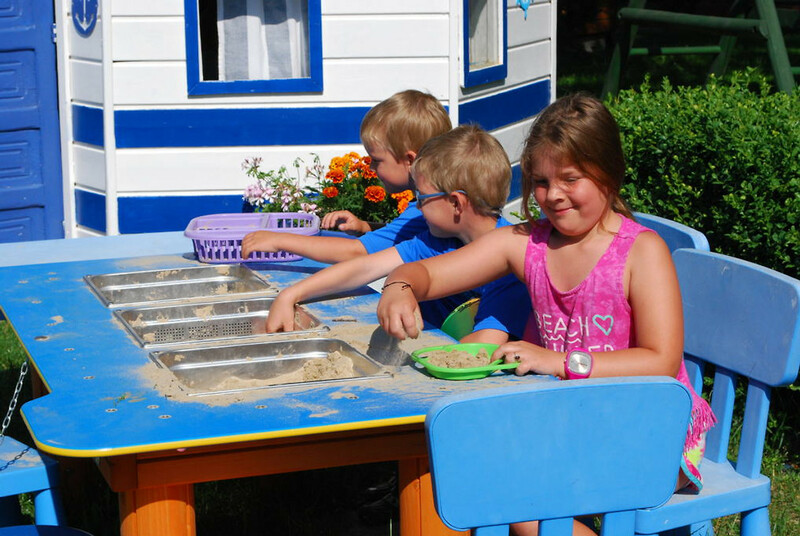 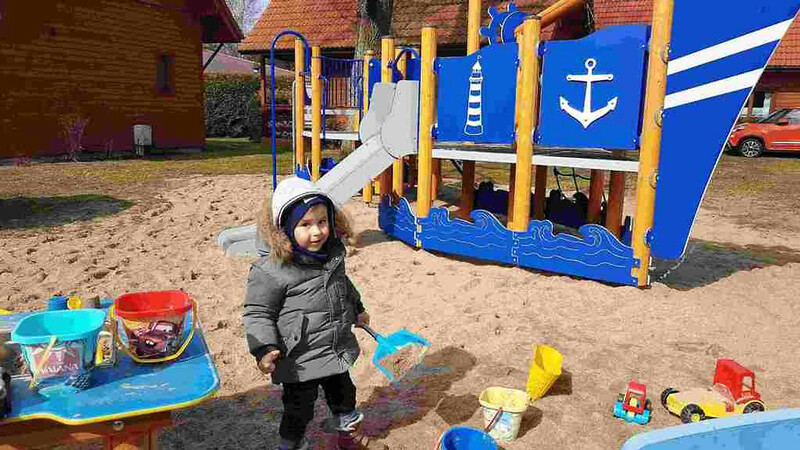 We have some play areas (in total about 2000 m2 of the area for children to play with), houses for children, a ship, some sandpits, swings, a slide, etc. 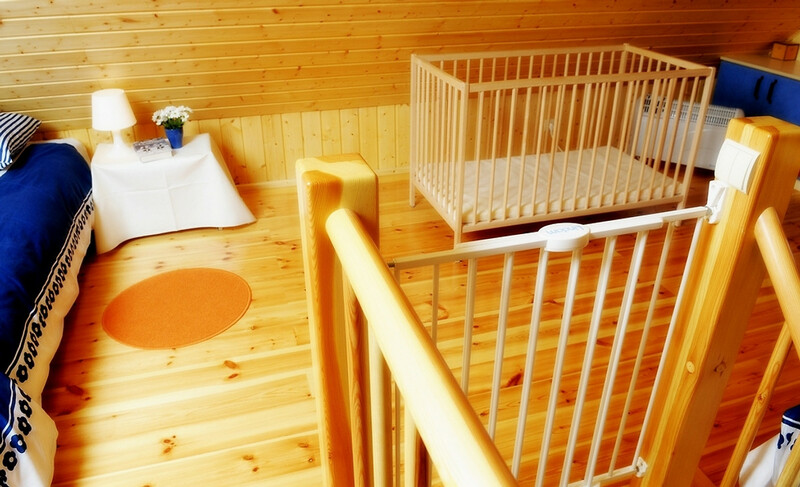 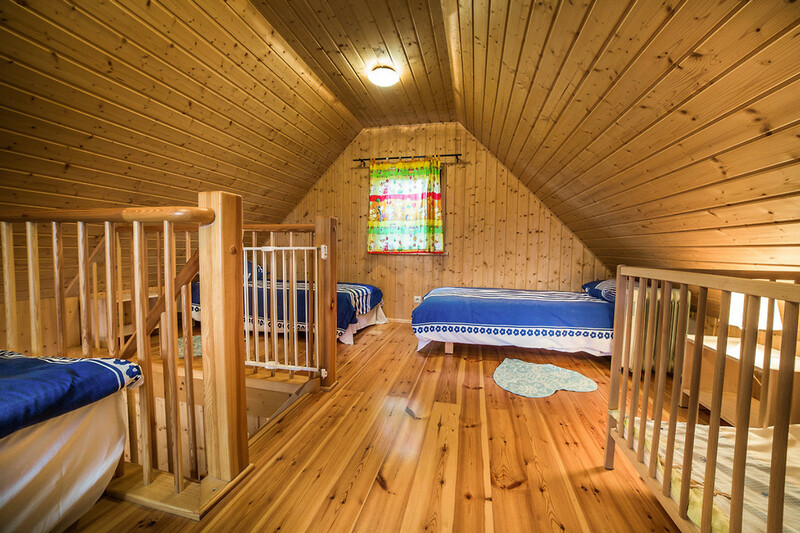 We offer to the small children: a bed, a feeding chair, a bathtub and a staircase fence free of charge. 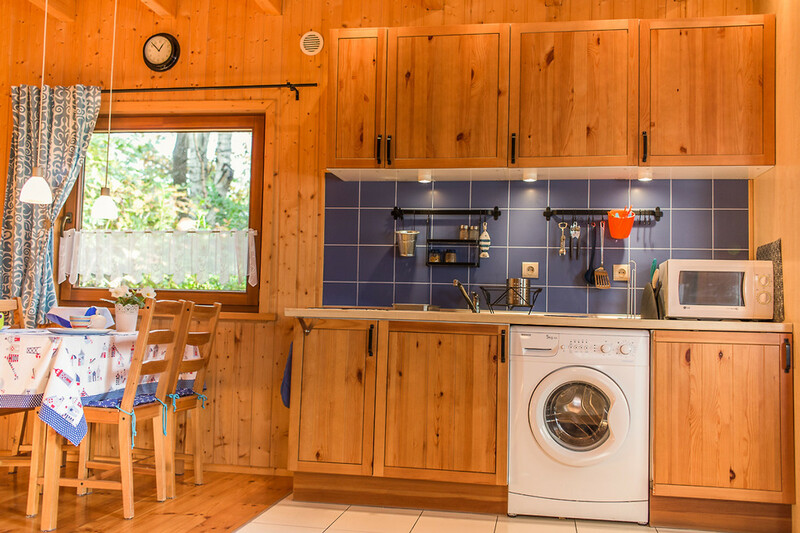 There is also a washing machine in the house and we do not collect any water fees. 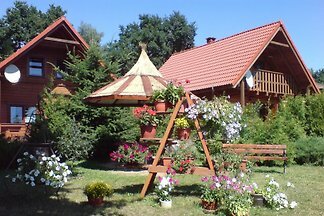 Everything can be found in the area of the beautiful garden, where we have preserved the ecological character of the area - here there is no concrete and no asphalt. 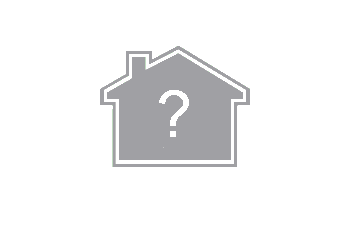 We have two types of houses: larger houses with 2 bedrooms on the floor and with a fireplace (type I, 65m2) and smaller houses with one bedroom on the floor (type II, 49m2). 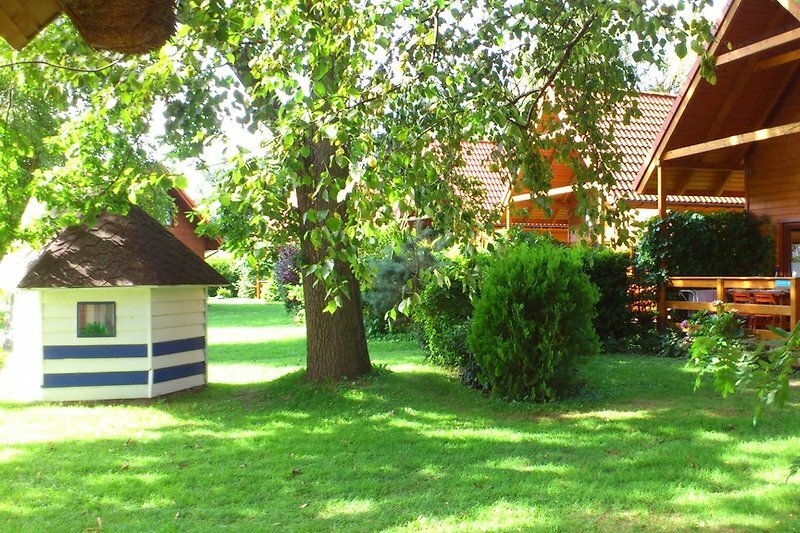 Each house has a car park and a reception desk and WiFi - everything is free for you. 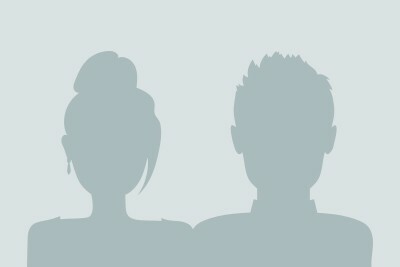 Our territory is locked and closed. 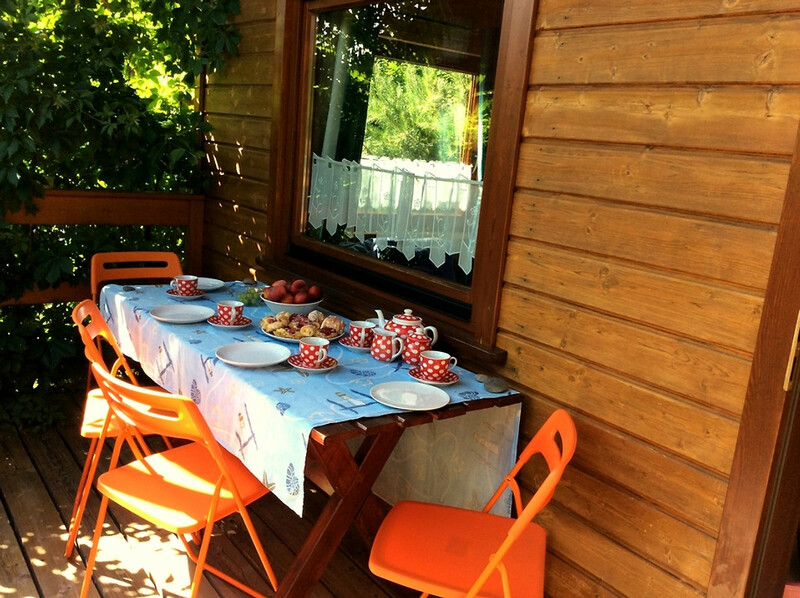 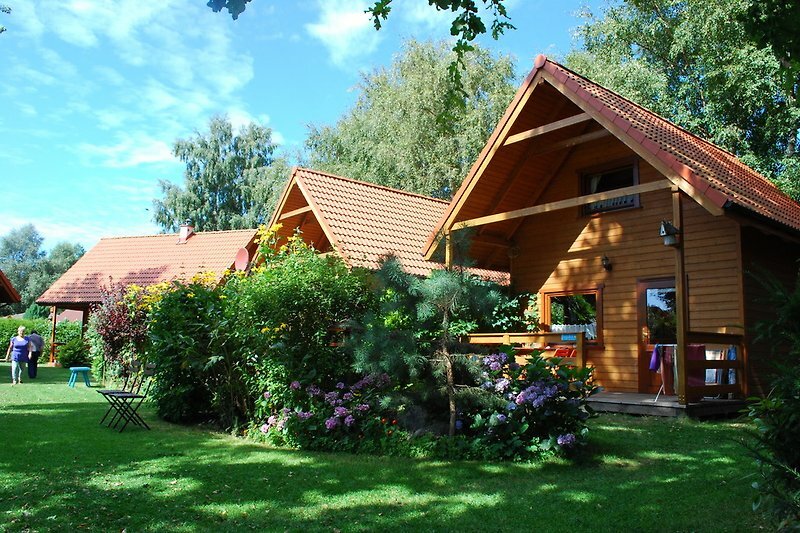 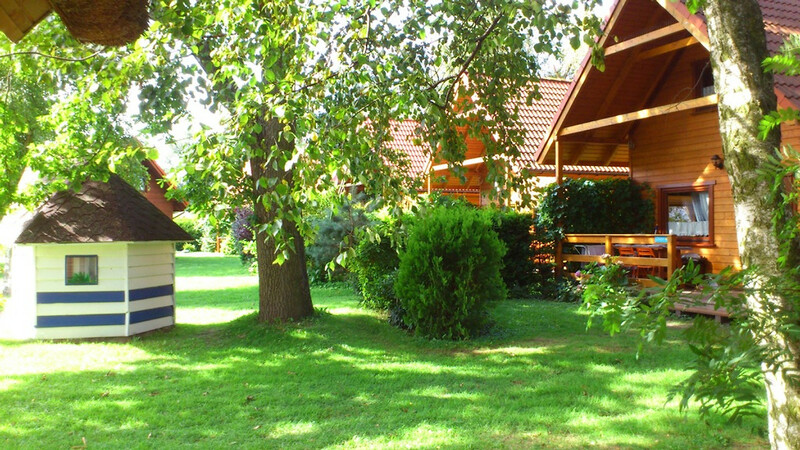 In the area of PLEJADY there are two large barbecue areas at the disposal of our guests. 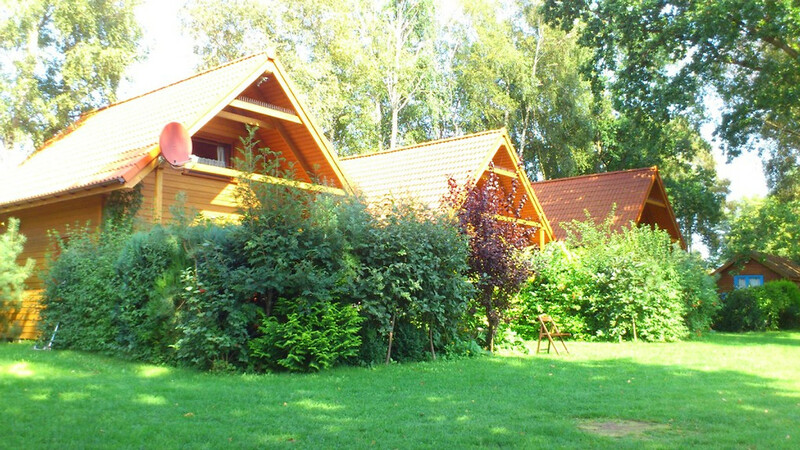 A tranquil holiday house with 49qm, with 1 bedroom and 1 kitchen (sleeps 4 persons) awaits you. 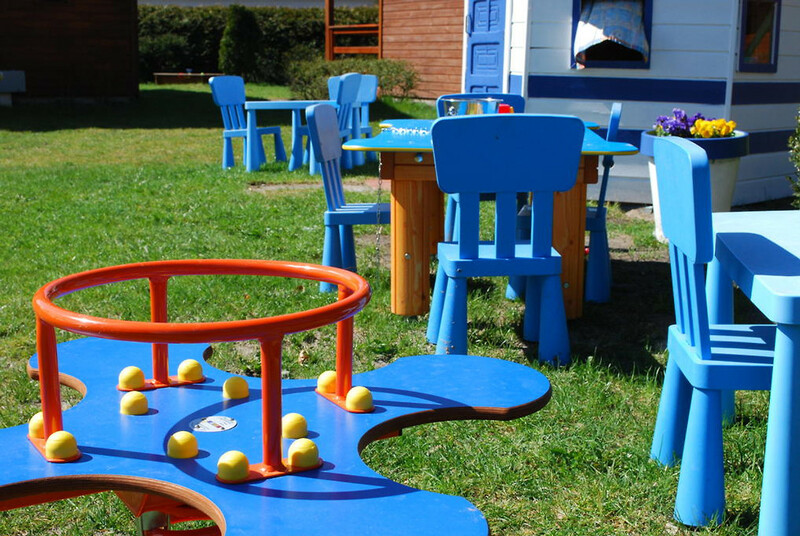 Ideal place to relax with the children. 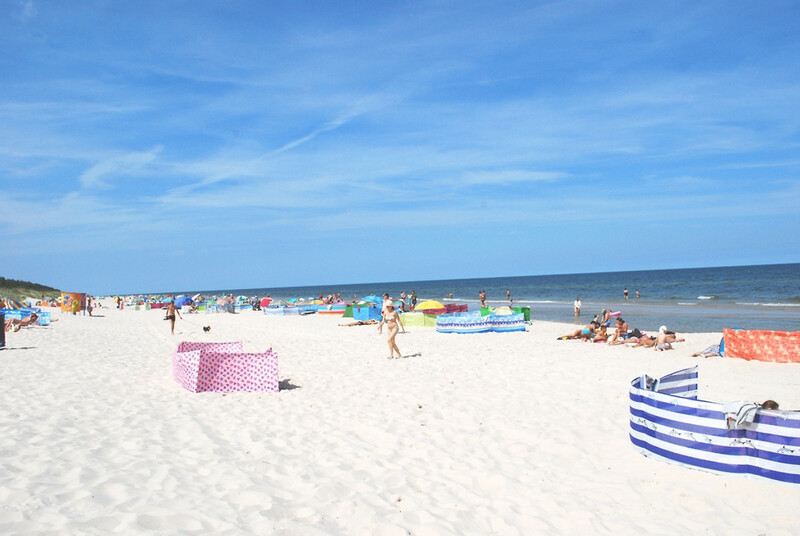 - Tourist tax ( 0,50 € per adult per day and 50 % for children and pensioners ).